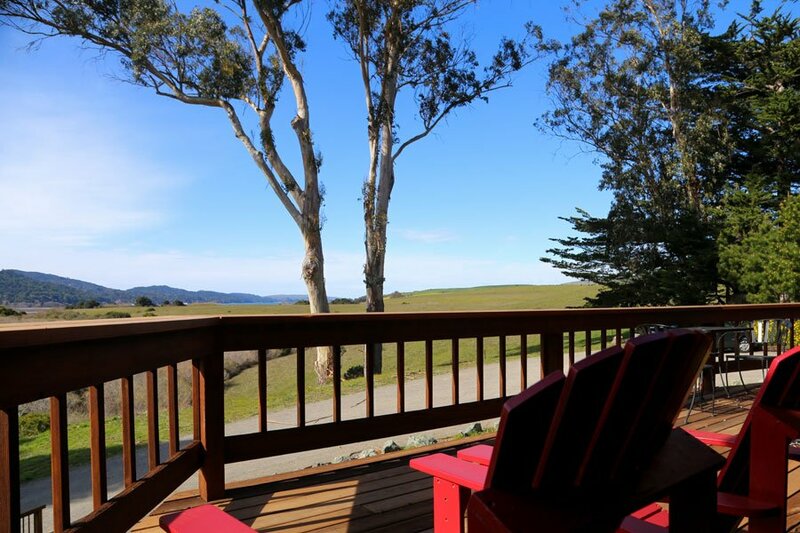 An exceptionally peaceful Inn set atop a bluff looking out over an iconic view of rolling grasslands, Tomales Bay and Inverness Ridge. 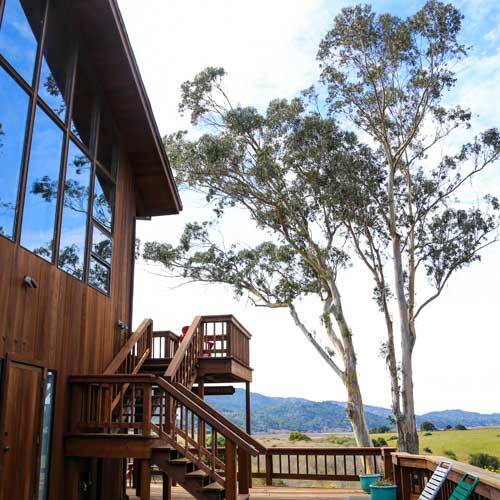 Guests come here for the spectacular view, privacy and quiet. 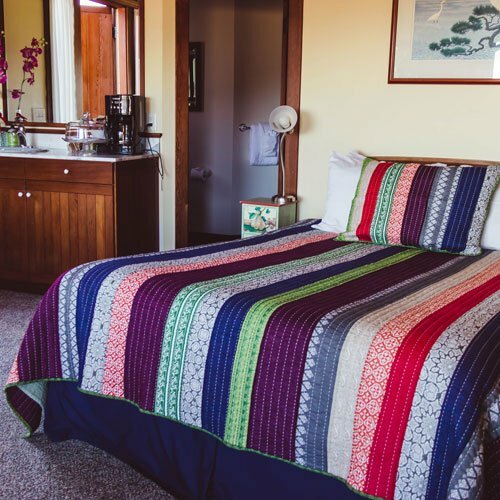 The Inn gives the feeling of seclusion and immersion in nature, and yet it’s just a couple minute’s drive from all the dining and activities of downtown Point Reyes Station. You’ll find yourself sharing space with many animals that call this area home. 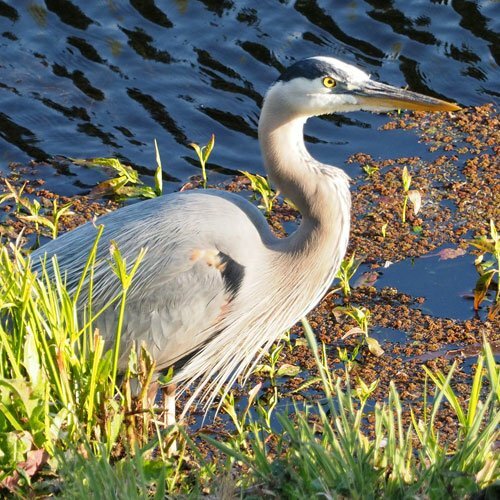 Waterbirds like heron and egrets are often seen in the large water lily pond, while deer, quail and even an occasional bobcat can be spotted lounging in the grass or passing by. The Inn has three rooms, each with large windows giving on to breathtaking views. Rooms have glass doors that open onto large decks with comfortable chairs where you can take your morning coffee, relax in the sun or watch for falling stars at night. Rooms are designed with comfort and independence in mind. All rooms have a kitchenette, stocked before your arrival with a continental breakfast that you can enjoy on your own schedule. Rooms include a dining and sitting area, making it easy to stretch out and feel at home.